Fall is finally amongst us, and here in New England we love taking in the beautiful fall colors around us as well as taking advantage of the many Autumn-only activities our area has to offer. Check our top 5 recommendations for fall decorating in the post below that shares how to bring your home to life with decorations inspired our favorite New England fall activities. There are many ways to incorporate the classic cornucopia into your home with a classic touch that doesn't require a lot of space. 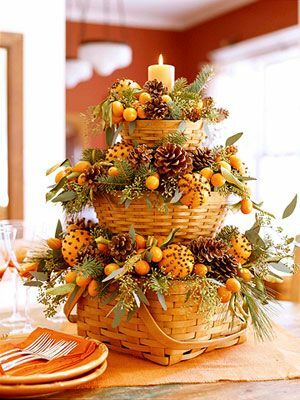 We love visiting antique stores and local markets to find unique handmade baskets for seasonal displays. Since autumns is harvest time, we're especially spoiled by the beautiful gourds and other seasonal items available here in Maine. Whether apple picking is a time-honored tradition where you live or you prefer the vibrant colors of the seasonal squashes, a fall basket is the perfect way to bring a touch of fall to your porch, living room or dining room. Fall is season full of many traditions. When you close your eyes and think of fall, you may smell the scent of fresh made cider at your local apple festival or you may hear the shouts of fans at the local homecoming game. You may even simply smile at the memory of takingyour oldest child trick or treating for the first time. 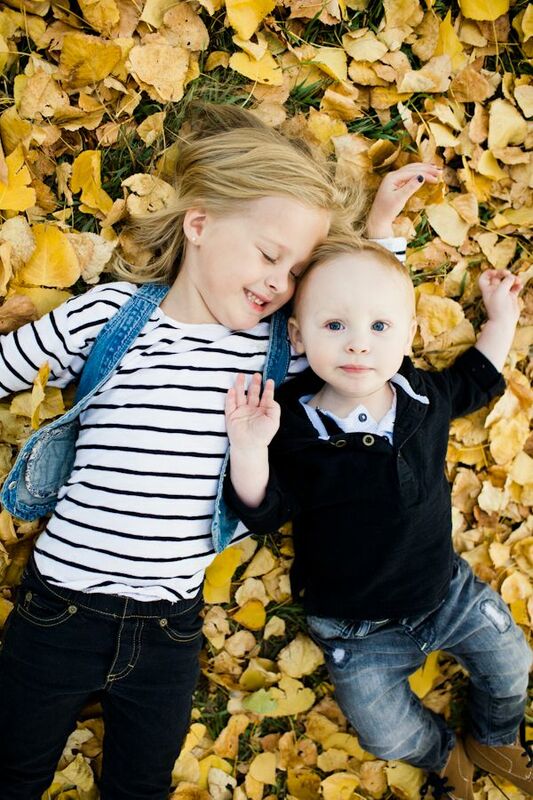 Whatever makes your family smile and remember all the good things this seasons has to offer, be sure to fully embrace the season with photos of fall past prominently displayed in your home. Not only will these images add a personalized festive element to your home, but they'll also bring joyful memories to your family and also inspire new adventures to embrace this fall season. We're especially luck in New England to experience the beautiful color changes that happen every fall on our trees throughout the region. Not only do we get to see them in our everyday landscapes, but the leaves that make them up are also welcomed additions inside our home with a little TLC. One of our favorite DIY fall decorations are Foliage Wreaths or Garland. 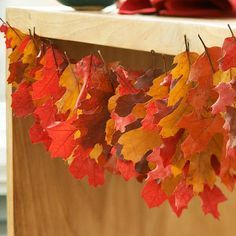 Simply take a need and thread and your favorite bunch of colorful leaves and string them into a festive garland for indoors or outdoors. For the fall wreath, cut the center out of a paper plate to create your base then simply glue your leaves on to the base. Lasts just long enough to add the perfect seasonal flair to your home. Love the colors of the leaves but prefer not to deal with a DIY craft? This simple touch is a modern way to bring the outside inside. 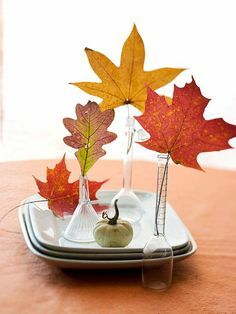 Simply grab your small neck vases and a couple of your favorite fall leaves from the great outdoors and set them together for a gorgeous centerpiece on your dining room table or on an end table in your living room. This is one simple decoration that you can switch up each day on your way home - it's even fun to challenge your little ones to pick out their own on their way in from the school bus. This October we welcomed our first fall seasonal design into our collection, the festive Haunted Harvest! Inspired by the large botanical designs characteristic of Bates in the 1960s and the pumpkin patch in the community garden we have on our property, Haunted Harvest is a perfect mix of classic Bates quality with modern design. The flexibility in products available also make the Haunted Harvest an easy choice to add a fall touch to your home. Shop Haunted Harvest Tables Runners & Throws now. Have your own favorite ways to welcome fall into your home? Share in the comments below.